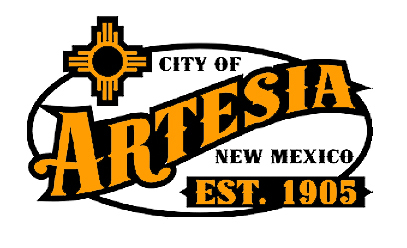 Following much soul-searching, the Artesia City Council voted last week to reinstate their portion of the property tax – and at a rate increased from what it was when the tax was eliminated two years ago. The council elected in the summer of 2016 to offset its passage of a two-eighths of 1-percent rise in “hold harmless” Gross Receipts Tax by removing itself from the list of entities that collect property taxes from the citizens of Artesia. But with the city having committed $1.4 million to the impending construction of the Artesia Aquatic Center, which broke ground Friday in the vacant lot west of Bowman Drive and Bush Avenue, the Budget and Finance Committee said it could find no other way to balance the city’s budget and ensure general fund reserves remained at a comfortable level. Rogers said that while neither the economy nor Artesia’s GRT payments from the State of New Mexico are on an even keel just yet, should that change within the year, the council would have the option of revisiting the property tax. Councilor Kent Bratcher expressed concern on a few levels, the first being that two councilors – George Mullen and Terry Hill – and Mayor Raye Miller were absent from the discussion at Tuesday’s meeting, and that the council had not provided Artesia residents with advance warning of its impending decision. Councilor Raul Rodriguez, also a member of the Budget and Finance committee, stated the group had struggled with the decision but had limited time in which to make it – the deadline for the action is June 1, and the council will not convene again until June 5. Rodriguez also said the committee factored into its recommendation the fact Artesia is continuing to struggle with weakening infrastructure, something he said he feels makes putting a dent in the general fund reserve imprudent. Councilor Jeff Youtsey, another budget committee member, agreed with the fact the city would have been hard pressed not to get on board with the Artesia Aquatic Center Foundation when it began formulating solid plans to provide the community with a swimming facility. “The main thing I’ve heard about over the last five years is: ‘We need a swimming pool,’” Youtsey said. “When the pool got closed, that was about the time the economy crashed, so there was really no way to pay for a pool, and up until just a few months ago, there still wasn’t. Bratcher’s other concern was with the fact that, just a year ago, the council was at odds with the Eddy County Commission over its intent to raise sales taxes on citizens. He told the council he was struggling to reconcile the fact that not only would the property tax be reinstated, it would be reimplemented at a higher rate than in 2016. “We were very vocal with the county about imposing their taxes,” Bratcher said. “I understand if we need to reinstate this, but if I were going to do it, I may have reinstated it (at the previous rate) and not increased it any more, which is what we’re considering doing tonight. City Clerk Aubrey Hobson laid out the options for the council, one of which was to reinstate the tax at its previous rate of 2.225 mills. Were that action taken, the general fund reserve would have dropped from $12,171,000 to just under $11.8 million. Rogers re-expressed the committee’s feeling that dipping into that reserve could have consequences if revenue streams do not remain steady. “I hope I’m wrong,” he said. “I hope that this number that we’re looking at here is entirely too conservative, but if the committee’s not wrong, we’re at least in a position where the City of Artesia’s not filing for bankruptcy two years from now. With additional assurances that the council would be able to consider eliminating the property tax once again in 12 months, the body ultimately passed the property tax reinstatement and increase from 2.225 mills to 3.5 mills on a 5-1 vote with Councilor Manuel Madrid dissenting. In other business Tuesday, the council also approved its 2018-19 interim budget. Police Chief Kirk Roberts informed the council of the Artesia Public Schools’ selection as recipient of the 2018 Nick Derzis Safe School Leadership Award, as reported in the May 20 edition of the Daily Press. The award is presented to just one school system nationwide each year and was based on the schools’ commitment to safety and cooperative relationship with the Artesia Police Department and its School Resource Officers (SROs). “Not only is this a very prestigious award, with the focus now on these issues that are happening, it’s a timely nod to the schools and to the city that we’re proactive and we deal with things in a professional manner here,” Roberts said. Youtsey took the opportunity to ask the chief for his thoughts on where Artesia stands in relation to school safety in the wake of more tragedies around the country. Roberts said the department would continue to examine its plans of action for each individual school over the summer, as well as training officers through simulated situations. He also told the council the test environment that has been created at Zia Intermediate School – through which cameras and speakers located throughout the building can be viewed and accessed from a single space in the main office – has provided beneficial insight to possible approaches moving forward. In personal business Tuesday, the council approved the promotions of Amanda Keller, uncertified police officer, at a pay rate of $3,178 per month; Ryan Hagedorn, uncertified police officer, $3,178 per month; and Gabrielle Conopulos, certified purchasing official, $3,685 per month. The council also approved the hiring of Lionel Barrera as a Cemetery Equipment Operator I at a rate of $2,482 per month. • awarding of a bid for the Richey Avenue Bore Project – which will install casing under Richey Avenue, including pertinent piping, spacers and end seals – to White Cloud Pipeline Corp. of Roswell. • a Subordination Agreement by and among Roselawn Manor CIC, LLLP, the Eastern Regional Housing Authority, the City of Artesia, and the New Mexico Mortgage Finance Authority. • the reappointment to the Recreation Advisory Commission of Robert Wachter, John Anguiano and Cooper Henderson, with terms to expire in July 2021. • the appointment of Robert “Bob” Johnson to the Recreation Advisory Commission. Councilor Raul Rodriguez stated one seat still remains open on the Recreation Commission. • the appointment to at-large positions on the Greater Artesia Economic Development Corporation of Chad Harcrow and Richard Price (terms to expire June 2019), Greg Marrs and Chuck Pinson (terms to expire June 2020), and Anna Byers and Jim Townsend (terms to expire June 2021). • the appointment to the Lodgers’ Tax Advisory Board of Joy Barr, Lauren Austin and Jess Holmes (terms to expire June 2020), and Johnny Knorr and Sandy Johnson (terms to expire June 2021). • the ratification of Mayor Raye Miller’s recommendation to hire summer youth workers and summer recreation aides for school programs from the approved list at a pay rate of $7.50 per hour, $7.75 per hour for those working at the Splash Pad. • the advertising and filling of the positions of detention officer and community service officer. • a public hearing to be set for Monday, June 25, for consideration and approval of an ordinance for the sale of property to Chase Energy Services, LLC. • one police employee to attend General Instructor Refresher training in Los Lunas. • one police employee to attend Implied Consent Update training in Artesia. • legislative employees to attend the New Mexico Municipal League Policy Committee meeting in Albuquerque. • the use of Jaycee Park from 8-11 a.m. daily, June 19-21, for the Second Annual HollyFrontier Youth Football Camp, as requested by HollyFrontier.